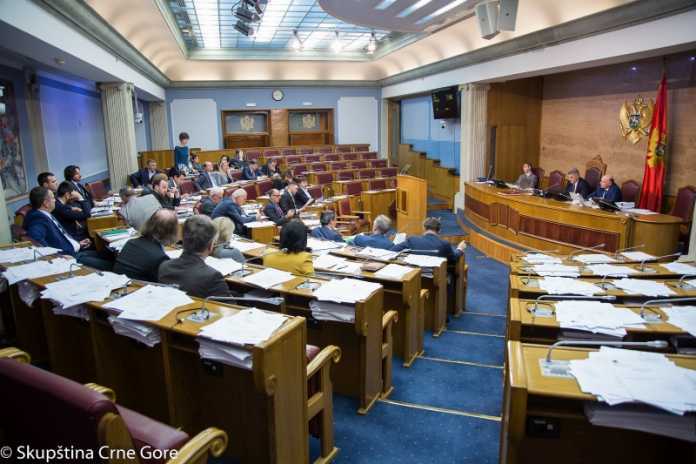 Podgorica, (MINA) – The extraordinary Parliament session, which will discuss a proposal of conclusions about the so-called Envelope Affair, is due to take place on 21 February. The session has been scheduled by Parliament Speaker Ivan Brajovic, following a joint request by 28 opposition MPs. The draft conclusions put forwards by the opposition call on the competent state authorities to take urgent steps to investigate the allegations and the material evidence presented by Atlas Group owner Dusko Knezevic and to report back to the parliament as quickly as possible. “The Parliament urges in particular the Prosecution Office to continue to investigate this case, in order to identify those responsible for this serious criminal offence, in the context of the reasonable suspicion raised based on the publicly available video recordings,” the text of the draft conclusions reads. The proposed text also notes that the latest developments surrounding the Envelope Affair, which involve the top state leadership, have additionally deepened the mistrust in the election protest, making it absolutely clear that at this moment there are no conditions for fair and free elections. “The Parliament notes that Montenegro is, unfortunately, becoming increasingly more recognized for election affairs and political corruption, which have been explicitly stated in the past EU reports and documents (the Audio Recording affair, buying off personal ID cards for the DPS, etc. ), but have not seen a political or a judicial conclusion. This fact seriously undermines the European integration of our country and threatens to halt our journey towards the EU,” the text says.